Because Amazon is such a dominant force in the online retailing space, brands of all types can generate enormous revenues by selling their products through the service. Even better, collaborating with Amazon on their pay-per-click (PPC) advertising program, called Amazon Sponsored Products can yield highly-qualified traffic to your product listings and increase those margins. Sponsored Products, seems like this should be a no-brainer solution if you want to get more motivated buyers to see your products, but brands make a number of common-but-costly mistakes when they aren’t experienced with PPC advertising on Amazon. 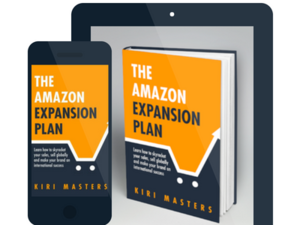 How can you get the most out of Amazon Sponsored Products, to ensure that you’re getting the most return on investment (ROI) for every ad you place? The truth is that Amazon’s PPC program is an extremely powerful way to drive relevant traffic to a product and leapfrog competitors while increasing revenue and sales velocity — but only if you know what to avoid. Brent Zahradnik, Bobsled Marketing’s PPC manager, sees brands make six common mistakes when it comes to their PPC strategy on Amazon. Many brands believe that once they set up a campaign, they can simply let Amazon take over and pull in customers. With other accounts, Brent has found that campaigns need to be maintained with routine optimization in order to stay relevant. If they’re not aware of how the campaign is performing, there’s no method for them to improve their strategy for better results. PPC within the Amazon ecosystem is always evolving, so it’s important to stay aware of the industry’s movements and adjust your tactics and approach accordingly. Unoptimized PPC Campaigns cost you money. Request a consultation with us and see how we can fix that for you. Too many marketing strategies demand immediate results, which leads to disappointment. Instead, sellers should try to exercise some patience. Brent has found that if your brand-new campaign is getting a substantial amount of clicks against relevant terms at a consistent spend, you should allow for three to four weeks for it to mature and find its footing. Typically, the more data a campaign has accumulated, the better it will perform. Related: See our past article, How much should I spend on Amazon PPC? for more guidance on appropriate budgets for Amazon Sponsored Products campaigns. Many companies think that if they target less competitive categories, their products will rank higher in search results. That might be true, but it also hurts Amazon’s assessment of your PPC ad’s relevance by Amazon—even if someone sees it, they won’t click if it’s not actually the type of product they’re looking for. At the core of PPC advertising with Amazon is the advertising cost of sales (ACoS). When asked about what brands would like to see out of their ACoS, Brent says, “People will always say, ‘As low as possible.’” For an immediate ROI campaign Brent has found that 20 to mid-20 percent means it’s well-optimized. It’s fine to be in the 30s or 40s if you’re just starting, or expanding the account, or searching for the most profitable, repeatedly-converting search terms. Brent has also found that campaigns designed for exposure, awareness, and boosting organic search rank, all of which are legitimate campaign objectives, have different ACoS goals. These may be higher than the immediate ROI campaign—just more proof that every campaign is different, and needs to be optimized for its specific purpose. Either way, don’t think you’ll hit those low ACoS values right away—Brent has found that for most accounts, it takes six weeks to find those profitable search terms or turn a poorly-performing account around if it’s running at a poor ACoS. Bobsled Marketing’s PPC management service can help you navigate the steep learning curve to help achieve higher revenues and market share. We’ll collaborate with you whether you’re just launching or need a revenue boost, help you steer clear of these common mistakes and many other lesser-known ones. Amazon can be a powerful driver for any business—if you’re willing to partner with those who know the nuances that lead to the ROI your marketing campaign needs. Learn how to skyrocket your sales, sell globally and make your brand an international success.